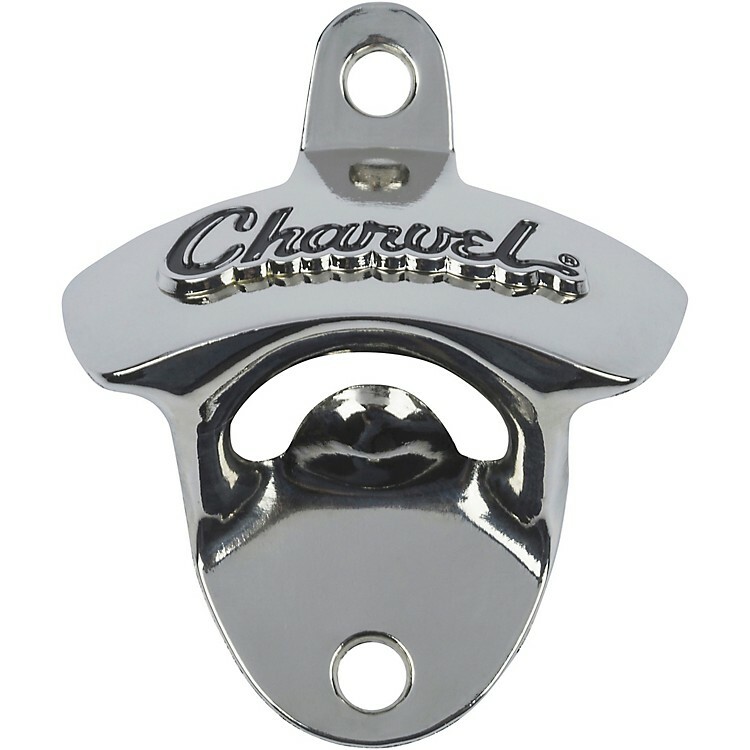 Chrome wall mount bottle opener with Charvel "toothpaste" logo. Easily mounts to any stable surface. Hole spacing is 2.5"